I love lists: Shopping lists, to do lists, gift lists (for other people, not me); I would be lost without them all. Some lists are more serious than others but none are more important than my Coffee Bucket List. Not only are lists great, but so too is the satisfaction that comes with ticking things off them - and if you can combine that satisfaction with coffee and travel, what more could you want? Ok, so I have to be honest here and say there are other influences in my South American choice than just the coffee at Full City, because I can think of nothing better than pairing my coffee with an Argentinian hamburger. This, plus the atmosphere and café culture of Buenos Aires puts anywhere in the city on my Coffee Bucket List, but what Full City provides is an excellent place to experience it, whether it be inside or outside on the café’s lovely patio. Better yet, the coffee at Fully City Coffee House is Colombian, and the owners certainly know their cortados from their flat whites. 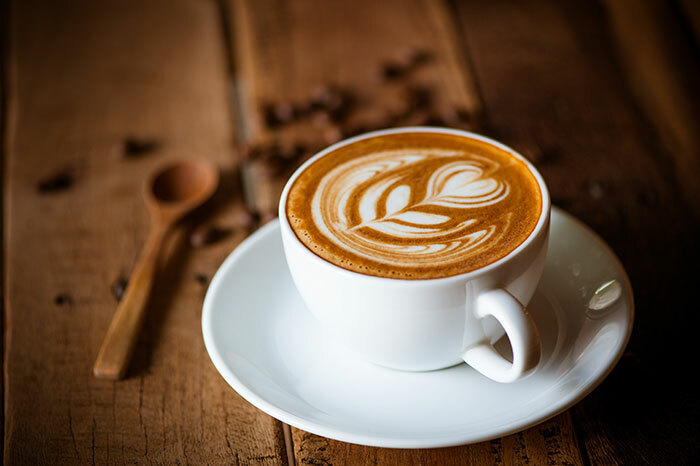 The USA has a lot to answer for when it comes to good coffee, as many aficionados may look down their noses at the land of Starbucks and Dunkin’ Donuts. Four Barrel is something quite different however, it's not just a coffee shop but a community-supporting powerhouse where you can enjoy a fantastic atmosphere with your latte, created using Four Barrel’s vintage German roaster, knowing that your dollars are going somewhere meaningful. If Paris is cool, drinking coffee in an old bookshop in Paris is uber cool!! In a city with so much to see and do, Merci USed Book Café is a quiet place to escape to and spend a couple of hours drinking great coffee and reading your way through over 10,000 books. Although it’s not the cheapest espresso you’ll find in Paris, I think it’s worth paying the premium to mingle with the locals and continue the coffee house tradition that Voltaire and countless other literary giants have made the city famous for. Vietnam may not necessarily be the first place associated with quality coffee in many people’ minds but Giang Café, found in the Vietnamese capital’s Old Quarter, has been around since 1946 and knows a thing or two about coffee as a result. 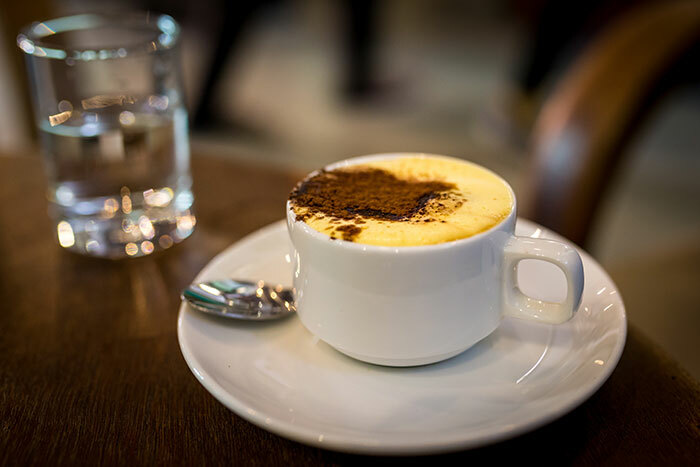 This is an established location on the world coffee map and it’s one of the best places in the city to get a true Hanoi coffee specialty, a ca phe trung or egg coffee. Admittedly this might not sound that appetizing to begin with, but once you realise it’s got a very similar texture and taste to tiramisu, you may be slightly more tempted to give it a go. Full disclosure, I’ve never actually been to Sydney. In fact I’ve never even been to Australia. But I do happen to have a fiancée who lived in the city for four years and, from the sounds of it, she spent a lot of her time in Single Origin. And why wouldn’t she? The Aussies know how to make a decent coffee, so I’ve been told, mainly by Australians, and this is the place to test that theory when in Sydney. The flat white is even worth braving the queue of hipsters that forms outside the place on a Saturday morning, so you know it must be good! Cape Town has become one of the trendiest cities in the world, and since the death of apartheid, has truly embraced its place on the world stage. As part of its renaissance, the city's culinary scene has exploded, with Michelin starred restaurants, microbreweries and of course coffee shops springing up with surprising regularity. Odd then perhaps, that one of the best ‘coffee shops’ in the city is run by two blokes in a trailer, albeit a very cool and posh one. Situated next to a roundabout at the back of Table Mountain, the coffee here is simply made but phenomenally tasty. There are also some great hiking and mountain bike trails that start here, so why not grab a caffeine hit before embarking on an adventure? Want to try one of these coffee shops for yourself? Take a look at our tailor-made holidays to destinations across the globe.